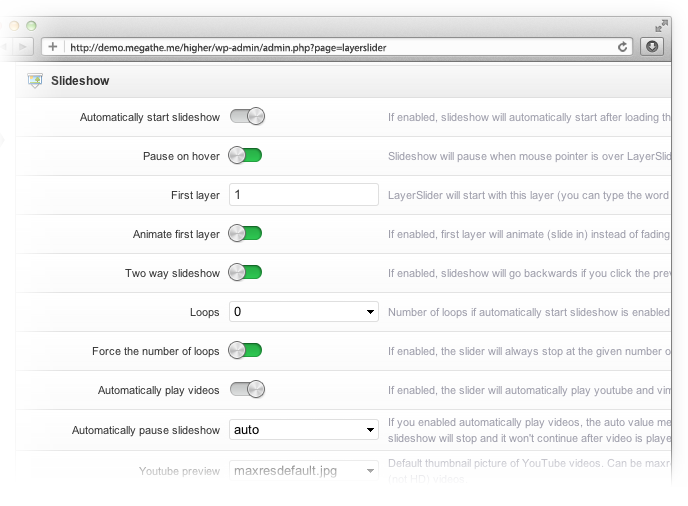 LayerSlider includes an entirely new stunning and intuitive user interface with a real-time preview feature! You can create as many layers and sublayers as you want. You can use unlimited images with links. Change delay times, easing types, durations and much more. You can learn more here.